It seemed like the release day was forever "right around the corner", but would seemingly take an eternity to actually arrive. Thankfully, the eternal wait was brought to an end. Was is worth the wait? Indeed, it was. I found the film to be excellent. All of the problems were what I expected them to be. Chris Evans as Captain America and Samuel L. Jackson as Nick Fury were just as bad as I envisioned that would be. Robert Downey Jr. once again stole the show as Tony Stark--expected. Thor, Black Widow and Hulk were all enjoyable, which helped to staunch the wound left by sting of Evans and Jackson as their respective characters. I found the first half of the movie to be uninspiring and dull, with the second half being of legendary status. The fight scenes were excellent. The dialogue was mostly fitting with only Evans butchering Cap's lines into a slaw of minced camp. The special effects were quality. I thought that the overall story was nothing special, but it wasn't bad either--simply average. Just seeing all of those characters on the big screen was a great thing to see. Apart from the two roles which I did not care for, I found the movie to be very enjoyable. 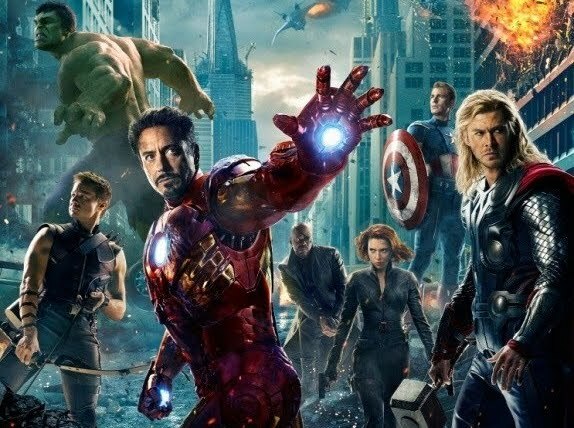 I'd rate "The Avengers" a 7/10. I don't JUST press comic books! I am a reader and collector of comic books, original art and magazines. In my blog you will find information on pedigree collections, comic book restoration, comic book production defects and even my own back issue reading reviews! Enjoy!